For the first time in ages, AT&T will offer customers an unlimited data plan. The catch? You need to pay for TV service as well. The new AT&T Unlimited plan offers endless data, talk, and text for $100—assuming you also sign up for a DirecTV or AT&T U-Verse. Additional lines cost $40 per month. (You’ll recall AT&T recently acquired DirecTV.) The phrasing of the deal indicates you can go both ways: You can be a new or existing subscriber of either AT&T wireless or one of the TV services to get the deal. 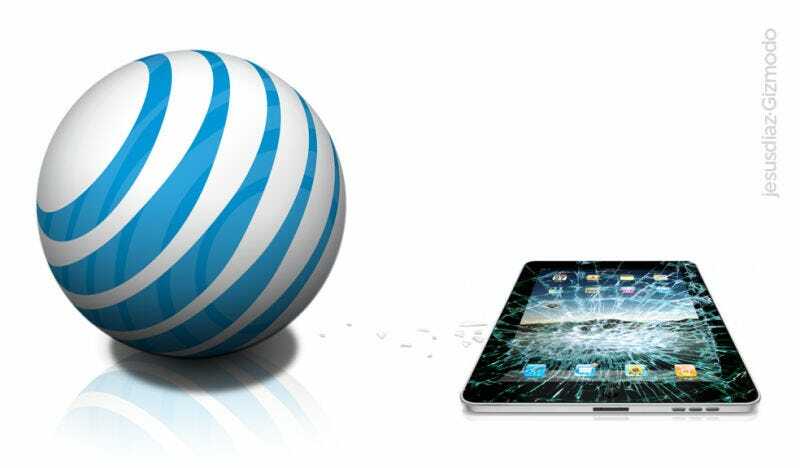 So why is AT&T offering a new deal after all of these years of slowly rowing back unlimited data, even for customers who were grandfathered in to old plans? Well, in part, it’s got to be increasing capacity. Wireless networks are getting more robust over time, and so unlimited customers might not be as much of a burden on the network as it was in the past. You also get the sense that the increasingly aggressive “Uncarrier” marketing from T-Mobile is starting to make carriers that don’t offer unlimited data seem like they’re stuck in the stone age. It’s unclear if any throttling will apply after a certain data threshold, as has been AT&T’s controversial policy in the past. Either way, it’s certainly a nice option—especially if you’re going to be paying for TV anyway. There’s no word on how long the deal will be available, so if it sounds good, get in while you can.